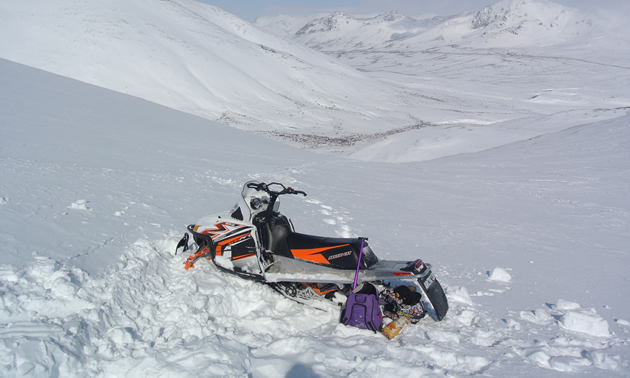 Ben McDonald launched his 2011 Arctic Cat Sno Pro 162 sled about 20 feet up this chute, and had to walk to dig it out! 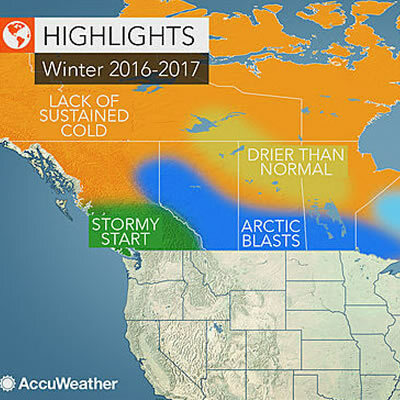 Stormy weather is in the forecast for British Columbia and the Canadian Rockies this winter, while the Prairies face bitter cold. 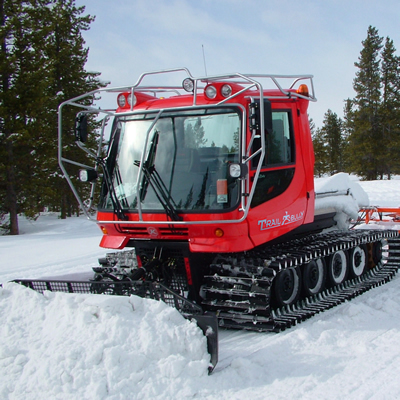 A reliable, portable, go-anywhere tracking system is being used to ensure the safety of snowmobile trail groomers and others. The purpose of International Snowmobile Safety Week is to open up discussions about safe snowmobiling practices. Ten-year-old Natalie Daniels and her family—her dad, Mark; her mom, Nita; and her brother, Zane—live in Whitehorse, Yukon, where sledding is taken very seriously. Vast, untamed sledding terrain awaits in the Yukon Have you ever wanted to feel like you are at the top of the world in the middle of nature's winter splendour? 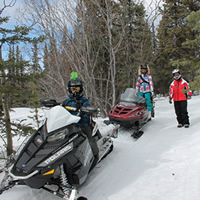 The Yukon offers this feeling to snowmobilers ready to tackle the magnificent terrain and trails of the North.The stories you'll find here will give you a taste of what Yukon sledding is all about. Check out our Yukon landing page for information on sled dealerships, destinations, snowmobiling trails, snowmobile-friendly accommodations, local snowmobiling clubs and more.